Amazon just expanded its smart-home lineup by agreeing to buy Eero, a San Francisco based company that manufacturers WiFi devices, an announcement made this past Monday. If you're not familiar with Eero, its a minimalist designed white color Wi-Fi puck; its primary purpose is to incorporate a mesh network around the home, providing much better coverage than one single wireless router. The total value of the Amazon purchase remains undisclosed. 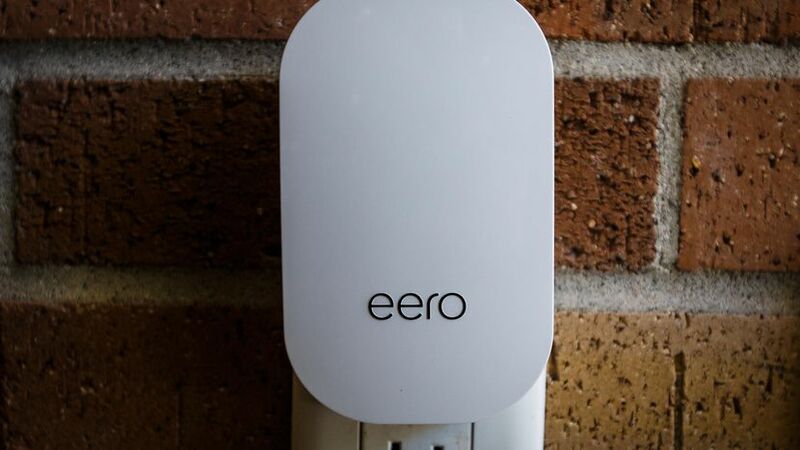 But interestingly, Eero was founded in 2014 and has since raised $90 million in funding, according to sources. For many who follow technology from a business standpoint, this deal is a clear indicator that Amazon strong ambition is to control every aspect of connected home devices. You already have the ever so popular Echo smart speakers that currently dominates US market; then there's FireTV streaming device and Alexa powered microwave ovens. More than ever WiFi networking equipment will be essential to an already WiFi smart-home gear. Amazon's fiercest competitor in the smart-home market is Google who already sells a similar and much cheaper system called Google WiFi. Amazon acquiring Eero means it simplifies WiFi setup who's primary intent is to make setting up smart-home devices more intuitive. At this moment users must download a new app, then go through an overlong setup process and pair up new devices with users voice assistant. With the Eero WiFi extender, setting up machines with Amazon's smart-home devices should be a breeze, shaving off wasted time, allowing users to start using new devices immediately. According to Amazon, there are more than 28,000 smart-home devices from over 4,500 brands that operate with Alexa. That's up from 20,000 and 3,500 since last September 2018. I also want to add more than 150 products currently have Alexa built in, that includes headphones, thermostats, PCs and light switches. The most significant selling point for me is how Eero will play well with Amazon's smart-home devices. As of now, there is no timetable as to when the WiFi device will be launch to market or potential price point. If Amazon can come close to what Google is charging for Google WiFi or up the ante when it comes to features, then it's safe to say competition has just gotten ever more heated between to two tech titans.